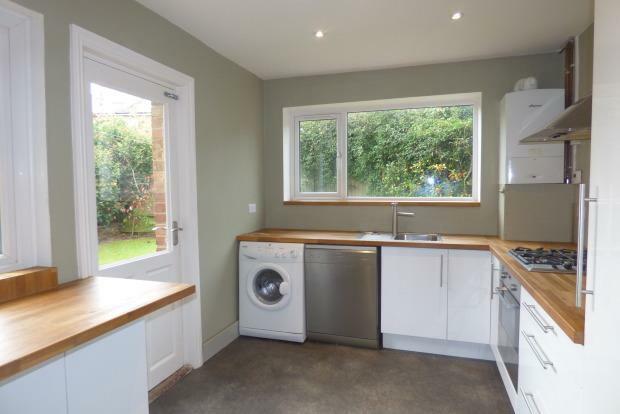 3 Bedroom House To Rent in Tunbridge Wells for £1,400 per Calendar Month. A substantial three bedroom semi detached house situated in the desirable St Johns area of Tunbridge Wells, within close proximity of a number of Tunbrdge Wells excellent secondary and primary schools. St Johns is an extremely popular residential area for families; as well as the schools, it also boasts a host of excellent local amenities including , local supermarkets, coffeeshops, cafes and some great local pubs and independent shops and restaurants. Tunbridge Wells town centre with its Royal Victoria Place Shopping centre is a ten minute walk and Tunbridge Wells Station approximately 15-20 minutes. There are also excellent bus links near by. The house is located on a quiet cul-de-sac away from any busy roads. There is a generous amount of on street parking as well as a narrow drive way which provides enough space for one vehicle to park across it. The property has a light and airy feel throughout. Downstairs there is an entrance hall off of which are two good size reception rooms and a lovely double aspect kitchen to the rear of the property equipped with large fridge freezer, a dishwasher and washing machine. Upstairs are three double bedrooms, a shower room and a separate WC. Outside there is a low maintenance rear garden with patio laid to lawn. Additional benefits include gas central heating and loft access.